April 15th, 2019 will mark as a new phase for Pokemon Go as they are bringing back another Legendary Pokemon in the game, Eon Pokemon Latios will be available in the game for special raid events, this Pokemon makes its return after a year as it was introduced last year in the game. Latios will be available in the game for only one week which is from April 15th to 22nd. The players will be able to team up and challenge this mighty pokemon in order to capture it during raids and to use in battles. 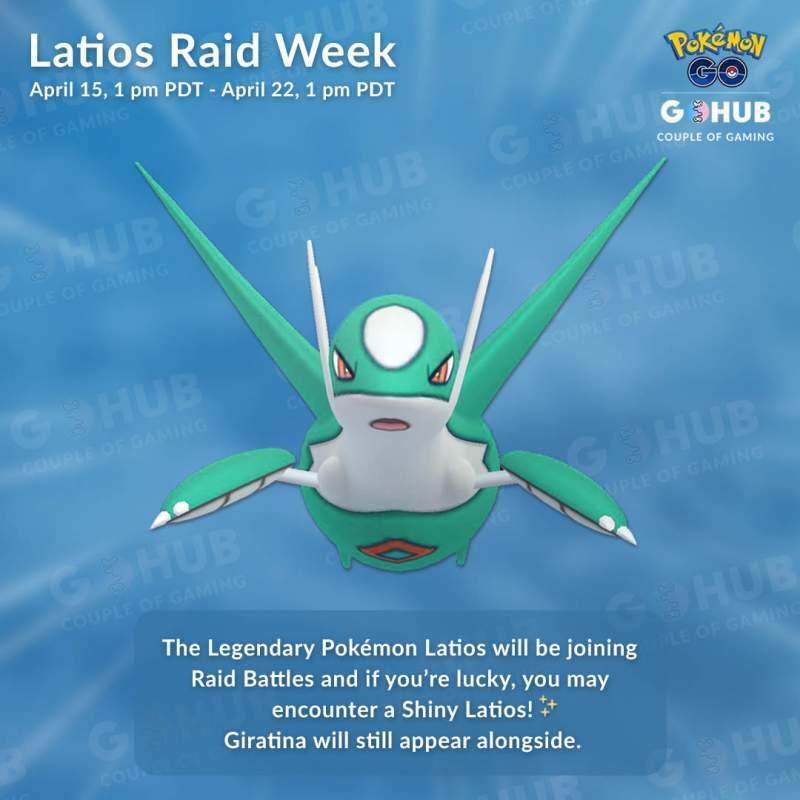 Niantic also mentioned that there is a chance of getting your hands on a Shiny Latios during the raid events, so make sure that you are actively raiding as many times as you can. Latios is a dual Dragon/Psychic-type which makes is weak against Ghost and Dark type pokemon or you can just use other legendary pokemon to take Latios down. Make sure you also check out the Legendary Lunch Hour that is taking place on the 10th of April. Pokemon Go has brought in a lot of changes to the game and these new events will indeed keep players invested in the game. Pokemon Go is available for iOS devices and Android devices.